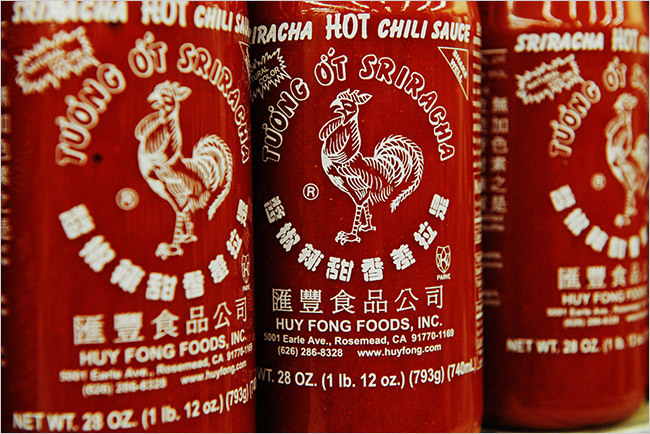 The quick rise and success of sriracha sauce surprised the fiery foods industry, especially because it was a type or style of sauce rather than a brand. There’s no doubt that Huy Fong Foods led the sales of the sauce, but now all major manufacturers and retailers, including Trader Joe’s, have their own version of the simple sauce. When consumers dine out they want to see hot, garlic, and spicy flavors and foods on menus, according to the market research company The NPD Group, Chicago. Data from NPD’s SupplyTrack service, which tracks products shipped from broadline distributors to food service customers, show that dollar sales of all spices and seasonings increased 7% versus year ago in the year ended March 31, 2017. Among the top growing spices and seasonings being shipped were curries, examples of which are tikka masala and yellow curry, which grew by 11%, and chili peppers, like aleppo and habanero, which grew by 12%. None of these flavors are tied to a specific brand. Roger Lane, marketing manager of savory flavors for Sensient Flavors, based in Hoffman Estates, Ill., noted that consumer interest in global cuisines is being driven by younger consumers, specifically millennials and the emerging Gen Z population. “Members of Gen Z have grown up in a world that has always been connected and multicultural so, for them, there is no such thing as ethnic cuisine,” Lane said. “It’s just ‘cuisine.’” They’re also much more adventurous in their choices and crave uniqueness. 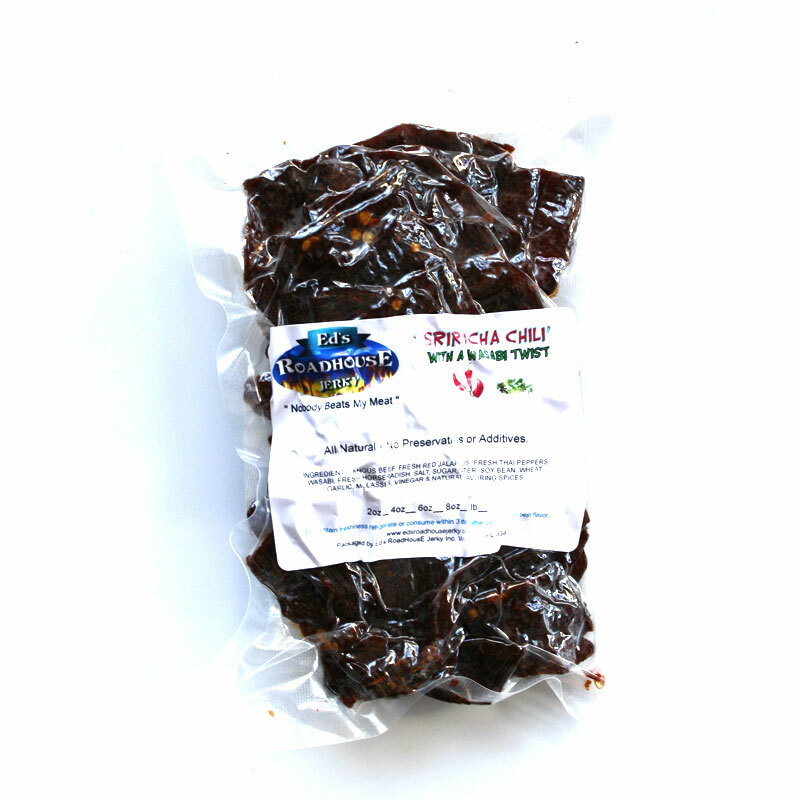 He added that a variety of chilies are starting to appear on restaurant menus throughout the United States, including aji panca from Peru, cascabel from Mexico, urfa chile from Turkey, and green chile from New Mexico. 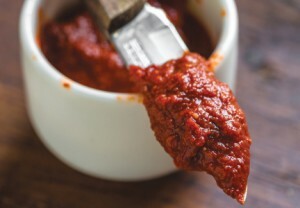 Harissa, a hot chile paste from North Africa, shown above. Gochujang, a Korean chile sauce with garlic, fish sauce, and chives. 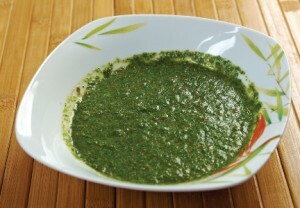 Sambal, a chile sauce from Indonesia and Malaysia with brown sugar and sometimes nuts, garlic, or coconut milk. 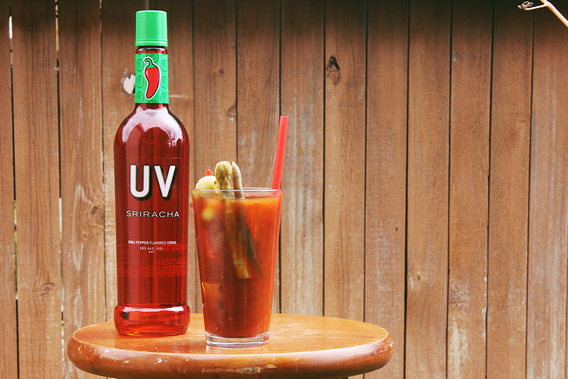 Experts do not agree on which sauce might follow sriracha, but one thing is certain: What will continue to drive the spicy flavor trend is sustained consumer interest in new food experiences. The NPD Group said the trend will be buoyed by the fact that 75% of U.S. adults, especially young adults, are open to trying new foods.